Ever apologized to a business? If you said “never,” then maybe you don’t have kids. At some point, each of my children has slipped a candy bar or lollipop — strategically stocked at kid-level in the checkout area — into their pockets without first informing Mom or Dad. When we discovered the transgression, we raced back to the store, paid for the item and apologized. Profusely. Then we gave the kids a stern lecture about paying for merchandise before leaving the store. We haven’t had any relapses, but then again, the teen years are just around the corner. Fingers crossed. 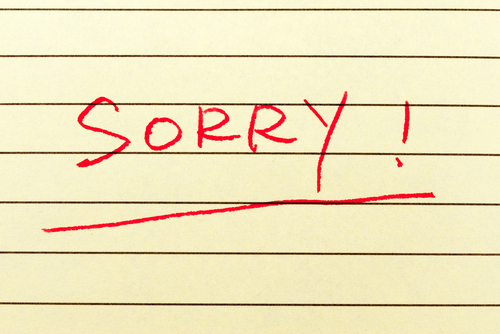 I hear a lot of apologies in my line of work. But as a consumer advocate, they almost always go one way: the company apologizes to a customer for a problem, actual or perceived. Sometimes, the tables should be turned.